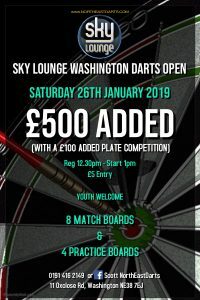 Sky Lounge Darts Open this Saturday. 8 Match Boards & 4 Practice Boards. This entry was posted in Important Info. Bookmark the permalink.